Stihl is one of the most trusted brands of chainsaws and is used around the world and is an official sponsor of the summer Timbersports, a compilation of competitions that use chainsaws and handsaws. While this is one of the most prestigious saw companies, there can still be occasional breakdowns and parts will need to be replaced. Those high quality parts should always be replaced with parts of the same caliber. That’s why HL Supply offers a vast variety of Stihl chainsaw parts. Some of those include chainsaw spark plugs, chainsaw fuel filters, and chainsaw starter rope with handle which we will talk about in this review. One of the most commonly replaced items on a machine—the spark plug—is the combustion starter for your engine. By creating an electric bolt a chainsaw spark plug is able to ignite the fuel and the engine can start. You don’t want to have an engine that doesn’t start. Find the right size spark plug for your Stihl chainsaw fast and easy today at HL Supply. Chainsaw Fuel filters are absolutely essential to having a strong chainsaw. All the fuel pulled into the engine is filtered through the fuel filter. If the filter is clogged from dirt and grime, the fuel has a harder time passing through and engine power is decreased. When cutting with a saw, power is precision. 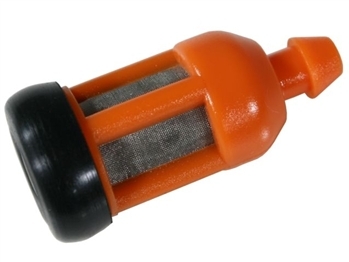 Make sure that your engine is at full power with a custom aftermarket Stihl chainsaw fuel filter. If your starter rope is about to break don’t wait for that day to come. Our aftermarket starter rope with handle is both strong and inexpensive. 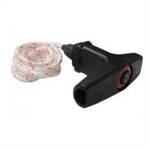 These easy to replace ropes will fit all of your Stihl saws. Have a durable starter cord that you don’t have to worry about breaking. When you need to repair your Sithl chainsaw or cut-off saw, you have to make sure that you buy the right parts. That is why searching for your parts at HL Supply is essential. Find everything you need, including products like spark plugs, fuel filters, starter ropes, and many more. If you have any questions about our Stihl products, please contact us and we will get back to you right away!